The market is segmented by Type (Self-monitoring Blood Glucose Devices and Continuous Blood Glucose Monitoring Devices), Component (Glucometer Devices, Test Strips, Lancets, Sensors, and Receivers) and Geography. 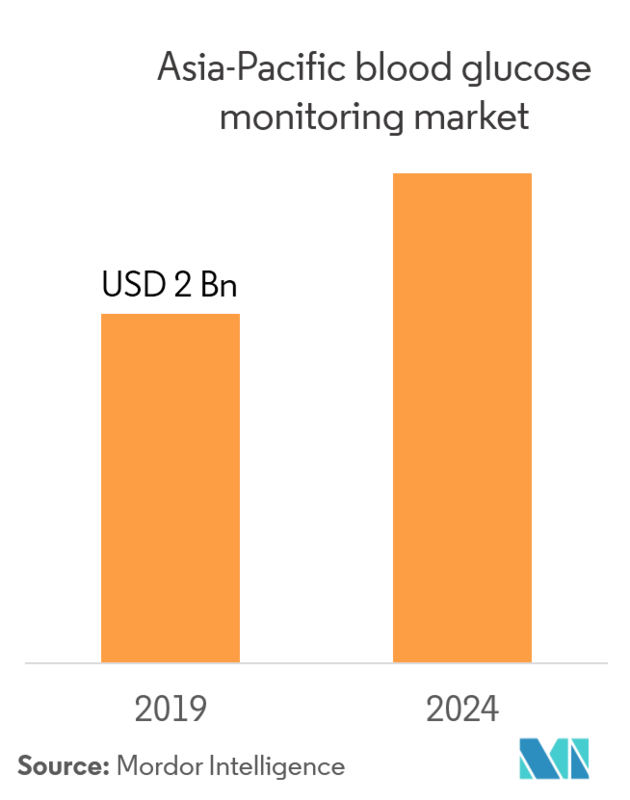 The Asia-Pacific blood glucose monitoring market is expected to register a CAGR of 8.83% during the forecast period (2019-2024), and the market is estimated to reach USD 2 billion by 2019. Asia-Pacific has countries with the highest diabetic populations, such as China and India, with an average prevalence rate of more than 8%. Blood glucose monitoring devices are used for effective diabetes diagnosis and treatment. A rise in the diabetic population drives the market by increasing the use of blood glucose monitoring devices. Obesity is also considered one of the major factors contributing to the disease condition, mainly type 2 diabetes. Also, other factors such as technological innovations and advances provide convenience in measuring blood glucose levels. One such advancement in monitoring blood glucose levels was established by continuous glucose monitoring devices. These devices help in early detection of hypo- and hyperglycemic conditions, which tend to drive the market for glucose monitoring market. The two main types of blood glucose monitoring devices are included in this study. These devices are further categorized into the self-monitoring blood glucose devices [(SMBG) segmented into glucometer devices, test strips, and lancets (which are also studied by their usage in hospital and home use, individually)] and continuous glucose monitoring [(CGM) devices segmented into sensors and receivers]. Although CGM is an advanced method for people living with diabetes to check glucose readings in real-time, SMBGs are the most preferred devices by patients in Asia-Pacific, due to their economic affordability and lesser sophistications in usage, when compared to CGM. 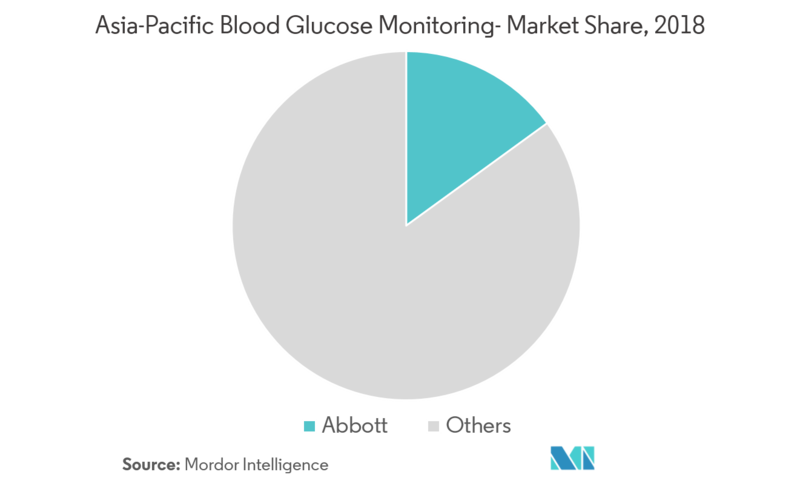 The SMBG segment occupies more than 93% of the market share in the Asia-Pacific blood glucose monitoring market. The further segmented market of SMBG uncovers the following understanding, that disposable consumables (test strips and lancets) occupy the largest market share compared to glucometer devices. China and India rank high in terms of diabetic populations around the globe, and the market for diabetes is expected to increase at a high rate in these two countries during the forecast period. Although CGM provides real-time data of blood glucose levels for patients, its adaptability is very low in Asia-Pacific markets. The cost factor is a major concern for the low growth of CGM in the Asia-Pacific market. China is facing the largest diabetes epidemic in the world, with around 11% of its population suffering from metabolic illness, while nearly 36% are pre-diabetic. 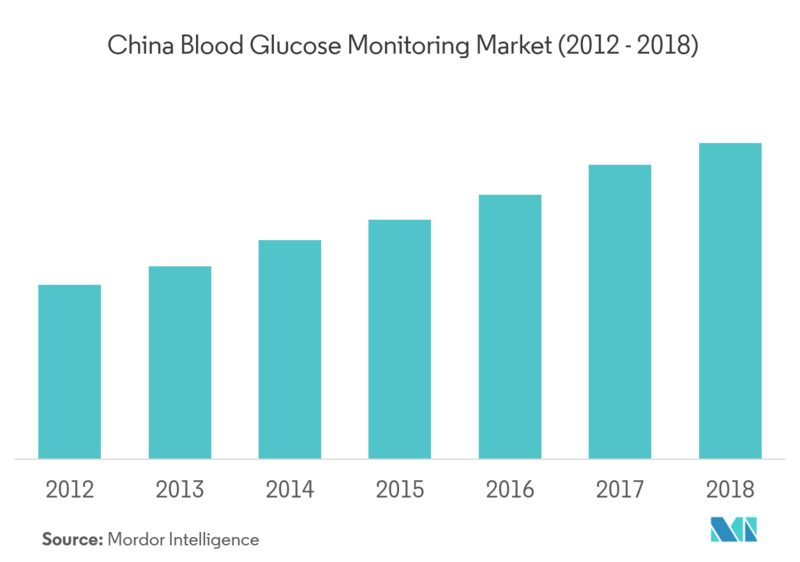 In 2018, China held the largest share in the Asia-Pacific blood glucose monitoring market due to the large patient pool and wide acceptance of advanced technologies. 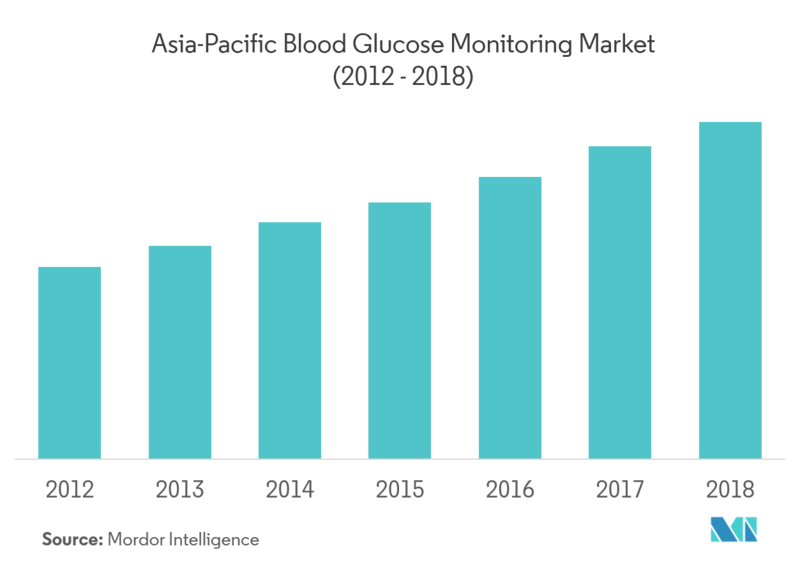 The Asia-Pacific blood glucose monitoring market is highly fragmented with few major manufacturers having a presence in major countries of the Asia-Pacific market, while the remaining manufacturers stayed confined to the other local or region-specific markets. Mergers and acquisitions between players in the recent past helped companies strengthen their market presence. For example, Ascensia Diabetes Care (the Swiss tech company, originally formed a few years ago from a merger of Bayer Health’s diabetes division and Panasonic Healthcare) is officially moving into the CGM space via a partnership with Huzhou, China-based Zhejiang POCTech.